Graduate Record Examination (GRE) is a standardized test that all students must take to apply to graduate school or business school. Even if you are unsure of what you want to study after college graduation taking the GRE is the next step. GRE is administered on a computerized. People from all over the world who want to obtain a master’s, doctorate, or an MBA in United States are required to take this exam. The GRE tests your ability on verbal reasoning, quantitative reasoning, and analytical writing. The entire GRE takes you approximately 4 hours to complete. You must take the GRE at the testing center. You must register in advance at the particular date and time. It costs $195.00 to take the GRE. You obtain your GRE score immediately after completing your test at the testing center. If you are unhappy with your score you can choose to not send it to any schools. If you are happy with your score then you can send your scores free to 4 different graduate schools of your choice. You can retake the GRE for the maximum of 5 times per year. The GRE scores are valid for 5 years after the test date. So it is easy for your to get it out of the way even if you are not planning for graduate school for a while. How Can Phoenix Tutoring & Test Prep Prepare For GRE? Phoenix Tutoring & Test Prep provides one-on-one tutoring/test prep for GRE. We provide individualized tutoring sessions that are uniquely tailored to your needs. We do not have group tutoring because we believe that everyone learns differently and allowing people to work at their own pace means mastery of the content. We ask students to purchase 2 particular workbooks from any bookstore. 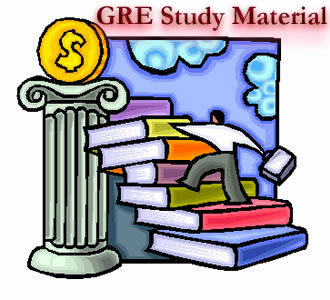 The student is taught step by step all of the material that is likely to be tested on the GRE. We help prepare for all the sections of the GRE. We give practice questions for students to strengthen their skills. We also go through the prep material provided by ETS (the test makers of GRE). We train you to complete test under time pressure and teach you some test taking strategies that works best. We also familiarize you with features of the computerized test such as using the how to use the on-screen calculator on the test. We provide helpful feedback for performing equations, reading, comprehension, and vocabulary building that enables you to perform well on the GRE. We have the lowest prices to GRE prep in the area. We charge $50 for an hour long session. We provide tutoring within your home or at a mutual location. We provide GRE test prep services in Phoenix, Scottsdale, Tempe, Mesa, Chandler, Gilbert, Ahwatukee, Paradise Valley and Queen Creek areas. Due to the demand from other students out of state we provide online tutoring sessions for the GRE via Skype and tutorbox. We also use other teaching materials such as powerpoint as a teaching tool. Please call or text 773-386-3184 or log onto www.phxtutoring.com to book lessons.